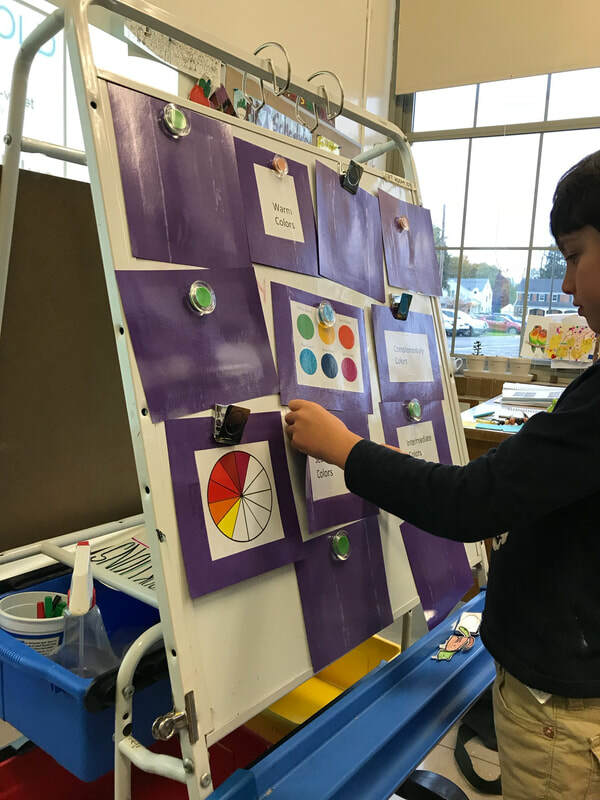 2nd graders created their own color wheels! Through these color wheels they learned the placement/ relationships of colors on the color wheel. 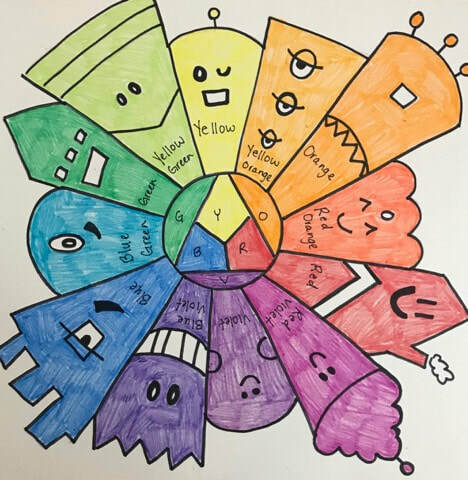 Students were also able to take their own creative twist to your everyday color wheel! Students demonstrated their knowledge of warm and cool colors by creating a landscape that has warm colors in the sky and cool colors in the mountains or ocean. 2nd graders quiz their color theory knowledge through a memory/matching game! Students analyzed artwork by Cincinnati based artist Charley Harper. 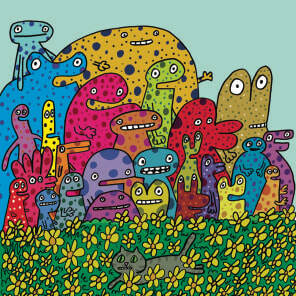 The noticed how he used simple shapes, colors, and lines to make his animal prints. 2nd graders also listened to a story about Wilson "Snowflake" Bentley who was the first person to take pictures of snowflakes! The students then created their own snowflake backgrounds for this piece. Check out their amazing work below! 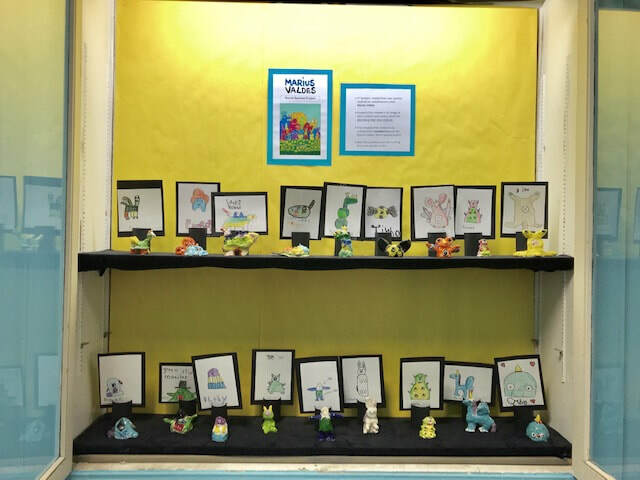 2nd graders created their own nonobjective creatures inspired by contemporary artist Marius Valdes "Secret Species Project". Students first wrote short narratives about their creatures, then made them out of clay, and finally drew their creatures again from observation. 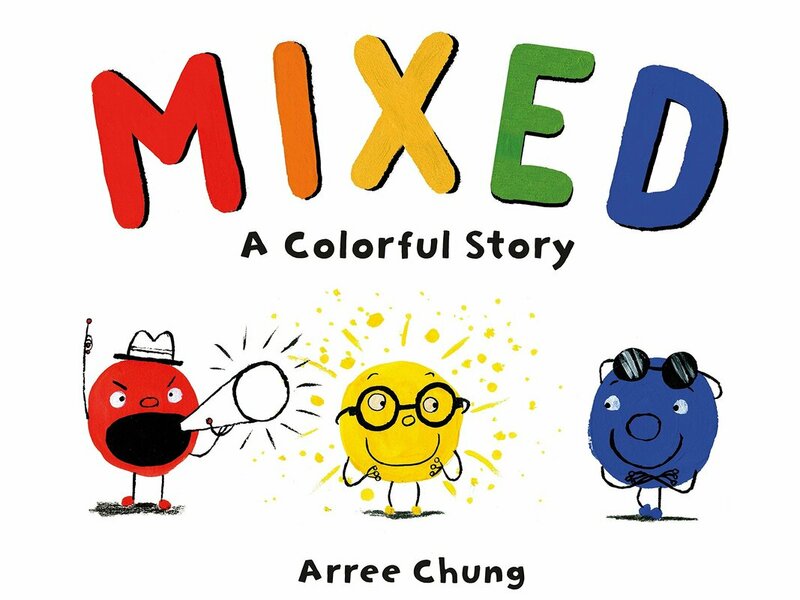 In this mini lesson 2nd graders practiced mixing colors and drawing facial expressions. Students created landscapes using one color. They were able to practice mixing tints and shades and creating space using value.